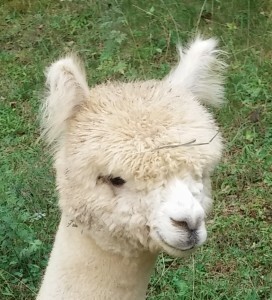 Thank you to everyone who came out for National Alpaca Farm Days this past weekend despite our very wet weather. We were surprised to see so many people on Sunday, but always love the opportunity to introduce our sweet alpacas and their fabulous fiber to others. Congratulations to those who purchased alpacas, and helped make our Alpaca Pen Sale a great success! The Thomson family will be beginning their alpaca herd with four fabulous alpacas. Pirate’s Luck, ‘Lucky’, is a beautiful herdsire who is an EPD Star, ranking in the top 1-2% in five different fiber characteristics in 2014. He will be joined by fellow EPD star Snobelle, who is due next June. Snobelle is currently bred to Lord Tennyson, a combination that previously produced our color champion Wild Bells. 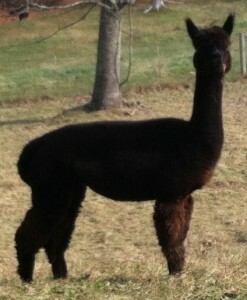 The lovely true black Espressa, bred to silver gray Hyppogryff for a June cria, will also be joining their farm. She too is a champion producer, and great mother. Our beautiful, award winning Bonnie Alice will be joining them on their new farm soon. She will be bred to our multi-champion Polar Ice for a fall 2016 cria. The Dahls of Alpaca Lotta Fun Farm are growing their young farm with the addition of three beautiful alpacas. They purchased two young herdsires in gray and white, Hyppogryff and Sunspot. Both boys are First Place winners of multiple shows, including both winning Highest Score in a Color Group at the MAPACA Spin-Off. The Dahls also decided to add our sweet Sugar Cookie to their farm. Sugar is a wonderful mother who has produced lovely crias in a range of colors. She will be bred with Polar Ice for a fall 2016 cria before moving to her new farm. We also sold a couple boys on the eve of National Alpaca Farm Days. The Wrights family is now getting their farm ready for Hercules and J Dubs 40, ‘Dubbie’, to move home soon. We know they will enjoy these sweet boys. We are excited for these families, and look forward to working with them as they grow their farms. If you are looking to begin an alpaca farm or grow your existing farm, let us know how we can help you. 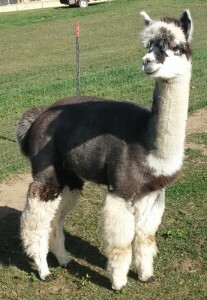 We have several other beautiful female alpacas for sale, and would love to talk with you about them. Call or email today with any questions or to set up a time to come by the farm.